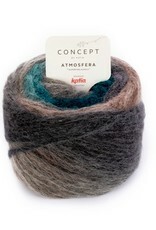 Atmosfera - Spun Fibre Arts, a local and online yarn store specializing in natural fibres. 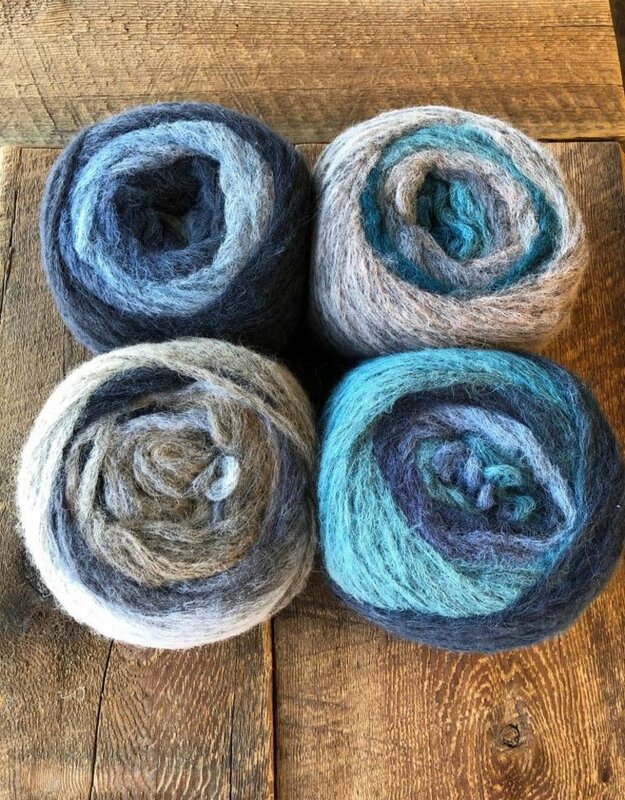 Fluffy and spongy multicolour alpaca blend yarn with dark coloured hair. 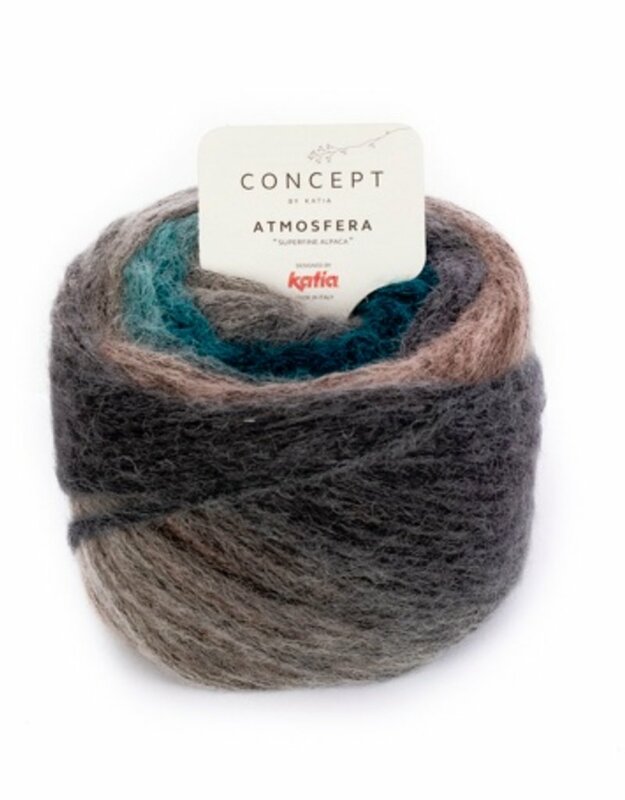 Concept Atmosfera is ideal for making fine lightweight accessories to wrap up in during autumn and winter. 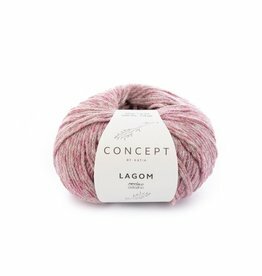 This fiber combination is suitable for making colourful ponchos, knitted shawls and unisex scarves. 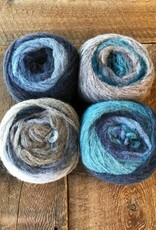 Colours shift gradually from one to the next, making it perfect for any top down shawl pattern.